This business card displays a fresh design filled with patterns and brand identity. 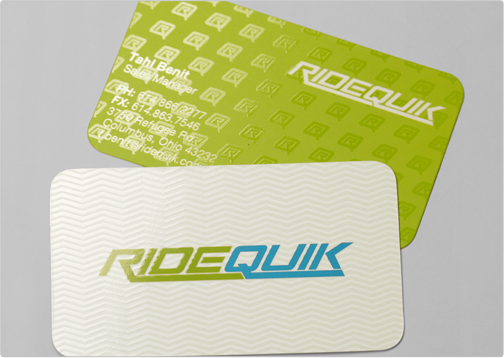 The business card is printed on a 16pt silk matte finish and is highlighted by spot gloss on both the front and back of the card. The card was given rounded corners for a modern touch.